Do you really like Hong Kong style Barbeque pig and duck (or poultry for that matter), live in the Emerald City, and just cannot afford to head to Hong Kong on a regular basis? 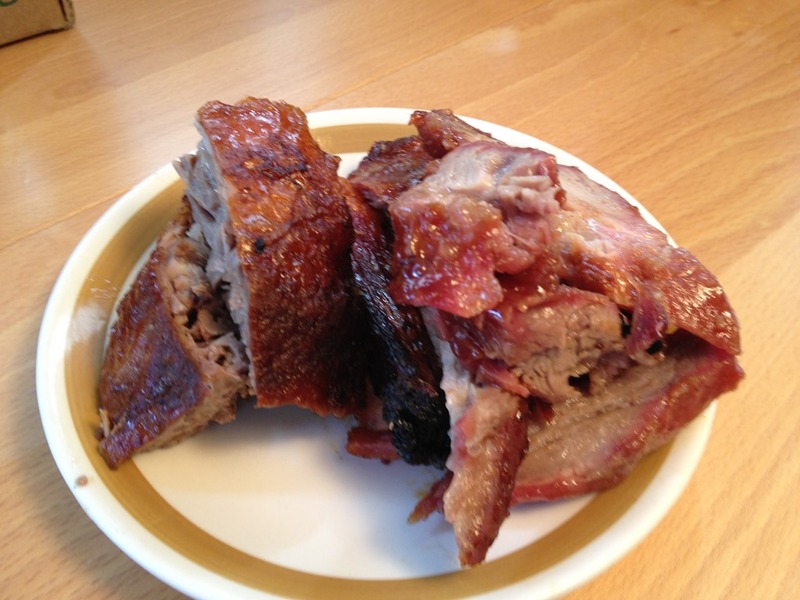 Well, the best option for those living the Seattle area is Ton Kiang Barbeque Noodle House – I may get into a lot of trouble here, but this BBQ house is comparable to BBQ houses in Vancouver – even the ones off of No. 3 Road (gasp!). Before I start a proverbial debate among the Seattle Chinese community (food is easily the easiest topic to debate over and over again), all I ask is for you to give them a try first. Surprisingly good service (well, again, for a Chinese restaurant) and even yummier food! The BBQ pork (to the left) is amazingly good! The outside is thick (good!) and crispy (even better) – with a ton of flavor. There is an amazing layer of thick chewy fat between the flavorful tender meat and its crispy outer shell. The meat is not too oily and isn’t overly salty – that is, it hasn’t been sitting in its own oils stewing for hours upon end. While it would be over exaggerating saying the the pork tasted light, I pretty much ate half a pound of pork in one sitting and did not feel weighed down! If you are a fan of BBQ pig – whatever style – this alone is well worth the visit. To the left are a couple slices of duck – the carnivore in me is salivating as I write this post! The duck has a perfect amount of oil, the flavor is intense, and the meat and skin just fall of the bone. Again, proper balance of roasting so the skin is crispy while the meat is tender. To the right are a few slices of the roasted pork – as you can tell, lots of fat (good!) and the meat is amazingly tender. I’ve always been a fan of roast pork but I almost always prefer BBQ pork (it’s all about the crispy skin). 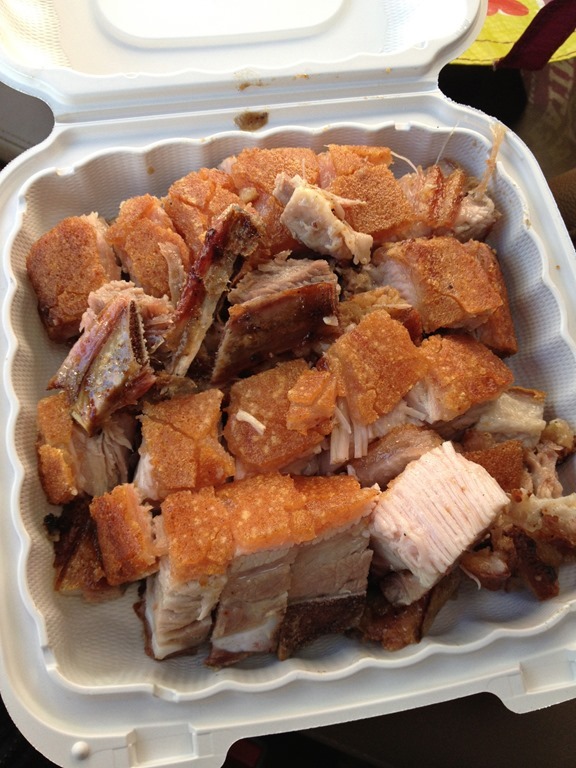 Yet, in this case, the roast pork is so flavorful, fatty, and tender – I’m just not willing to chose which one is better! So go now – get some get Hong Kong BBQ, eh?! What I haven’t been able to find in the East Bay for years is “four-way duck,” i.e., duck cooked four ways. Best I’ve had was in Taipei, but most Hong Kong restaurants used to serve it. Wife and I will be coming to Bellevue for the MVP Summit. Will be requesting restaurant recommendations from you before we get there.